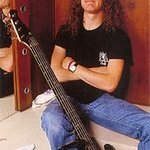 Jason Newsted was heavy metal band Metallica’s longest serving bassist. After joining the band in 1986, he finally called it a day in 2001. 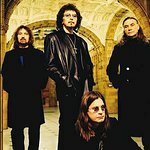 This, however, was merely a stage in his career and he went on to play with Ozzy Osbourne, found Chophouse Records, join metal band Voivod and continue with his music project Echobrain, a compilation group. Jason is an honorary board member of Little Kids Rock and in 2011 joined forces with some of heavy metal’s biggest names to form charity supergroup WhoCares, in support of relief efforts in Armenia, a country still devastated by the 1988 earthquake. Google trends for "Jason Newsted"
We don't have any videos related to Jason Newsted.